Ring the alarm, it's Beyoncé and Jay-Z divorce rumor #1928347123: according to reports, the queen of pop has been shopping for apartments in New York City. Alone. 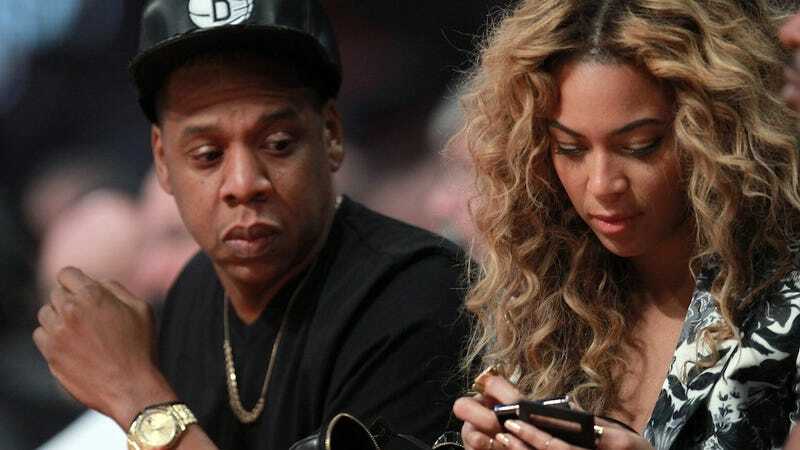 When rumors of an impending Jay-Z and Beyonce divorce began swirling (as rumors do), they seemed too far-fetched at first. But then, "sources" began spilling more and more juicy details to gossip rags, and now we've got a full fledged storm on our hands that even the most aggressively chill instagramming from Beyonce cannot stem. According to Page Six, (which seems to have an awful lot of sources who are "close to the family") Beyoncé's New York City apartment hunt is devoid of much of the hair-ripping stress that characterizes the frantic search of normal folks; the apartment she was considering costs a cool $21.5 million and is located in Chelsea and probably doesn't have a closet that has been turned into a bathroom and a kitchen that isn't wide enough to move a couch through. But while it might have resources in excess, Beyoncé's New York City apartment hunt does have an extra dollop of sad. "She was very quiet, as if she was looking on the sly," a source said. CONCLUSION: DIVORCÈ. With an accent grave, because, if the growing tide of whispers are true, it will be a grave day indeed.